Do you get frustrated and angry when your Wi-Fi connection stops working? It could be because of your personality. Internet addiction among people is a growing concern. Online access is an important part of the modern world and is a vital tool in our education. Apart from this, it is a very entertaining and informative medium. However, these very qualities also make for a fascinating escape for many people. As more people use the internet every year, the number of people gets confused, obsessed and accustomed and then become addicted to the Internet. Despite dissatisfaction with the claims of internet addiction and the efficacy of the research, many clinical professionals, including many psychiatrists, psychologists, and sociologists currently consider Internet addiction as legitimate a disorder. Like other addiction disorders, internet addiction is valid and equally worrying and noticeable. In fact, everyone nowadays relies on their internet connection. So when their WiFi connection suddenly stops working, it seems as if they are entering the Dark Age. According to a new study report published in Heliyon, when the Wi-Fi connection or digital technology ceases to work, people become frustrated and angry, they are afraid of disappearing with a fear of missing out (FOMO) - they worry that they are missing a social experience and There are other people who are losing their experience while they are not online - or there are more extreme reactions in an internet addiction. 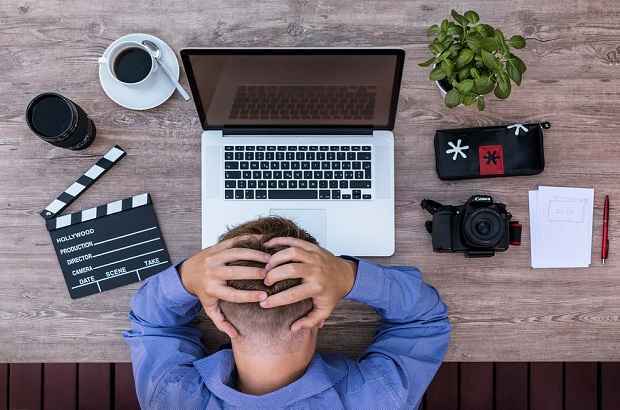 The researchers behind the study, psychologists Dr. Lee Hadlington and Dr. Mark Scase from De Montfort University in the UK, also show that some personality traits directly affect people's reactions to failures in digital technology: those who were seen as being more neurotic and excluded, had more excessive reactions to the failures of digital technology. If something goes wrong with digital technology that prevents us from going online, we will respond in a variety of ways. 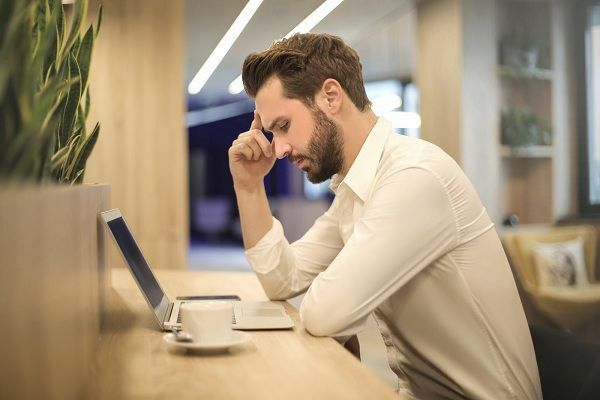 'Maladaptive' reactions include anger, anxiety, depression or sadness; These responses are not only useless but also have shown harmful effects on achieving productivity and goals, and therefore, can lead to poor job performance. If digital technology failure is due to a malicious cyber attack, it can affect many people and businesses, so it is important to understand responses to limit negative impacts. Lead author Dr. Lee Hadlington said "The 'frustration' response or disappointment reaction is one of those things which we all experience on a daily basis, so it seems to be a logical step in our research, most of the research on this subject is from the 1940s - you can say that this research is actually the first way of its kind to figure out how a personal reaction is to the failures with digital technology, and most importantly, it is a modern-day keeps in the context of the digital era. " The more we use our tools and devices, the more we join them and get attached, so when they do not work, we become a little crazy or just switch off and close things completely. But there are things that people can do when technology fails to make their lives very easy - extreme reactions only make things worse. If we can understand how people get feedback in some ways, and why these differences are there, then we can hope that people will get better support if the digital technology fails and there are relevant signposts and copies for them to follow to get help," said Dr. Hadlington. In the study, 630 participants of the 18-68 age group completed an online questionnaire in which they self-reported about the failures of digital technology, fear of disappearance,fear of missing out, internet addiction and answered the questions that scored them on the BIG-5 personality traits and Big-5 personality Build on symptoms: extraversion, exclusion, agreeableness, openness, Integrity, and neuroticism, and conscientiousness. The results show that the fear of disappearing, fear of missing out, extroversion, internet addiction, and neuroticism all have a very positive effect on malicious reactions and maladaptive responses, which means that there is a possibility of maladaptive responses if the psychologically dependent people on digital technology are wrong. He also showed a link between age and response: As the age increases, the level of frustration that people experience decreases.